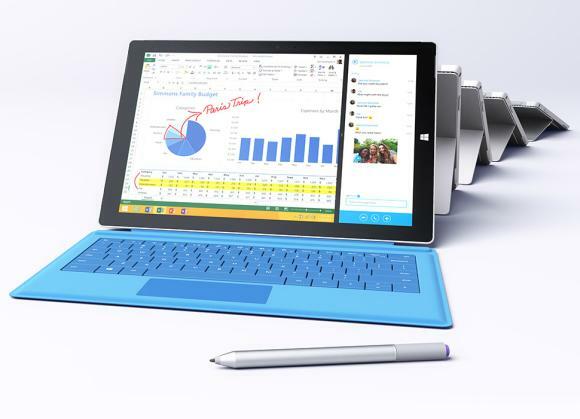 Microsoft Surface Pro 3 announced. A tablet that can finally replace the laptop? The market is full of tablets and while they are mostly for fun and games, some have tried to be a productivity tool by offering a bunch of office apps and accessories. One of such attempts is the Galaxy NotePro 12.2 which is a huge 12.2″ device that’s positioned as a progressive tablet bridging the gap between tablet and a full functional laptop. While it is more usable than the rest but it isn’t enough to make us abandon our day to day laptop. Over at Microsoft, they had introduced the Surface Pro series which is an ultra portable tablet with full fledged Windows experience but somehow it is too small for our liking. Now in its 3rd generation, the newly announced Microsoft Surface Pro 3 has grown up with more grunt and comes with a redesigned kickstand which is more flexible than ever. Could this be the laptop replacement that we’re looking for? It probably is. The display is now bigger with a more practically sized 12″ screen that does high 2160×1440 pixels resolution. Not as high as the Note Pro 12.2 but its more than the usual Full HD 1080p resolution that we get in most laptops today. What’s more interesting is that the Surface Pro 3 has a more squarish display aspect ratio of 3:2 instead of the typical wide screen 16:9 format. Similar to buying a laptop, the Surface Pro 3 now comes in a wider range of options with Intel’s 4th generation Core i3, i5 and i7 processors to suite different needs. For the lower end i3/i5 models, it comes with 4GB of RAM with a choice of 64GB and 128GB storage options, while power users on the i5/i7 models get 8GB of RAM with 256GB or 512GB storage. 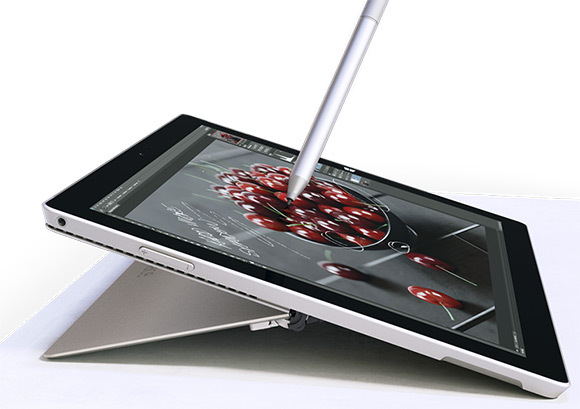 In terms of design, the Surface Pro 3 is even sleeker with just 9.1mm thickness and weighs just 800 grams. As comparison, the previous Surface Pro 2 is 13.5mm thick and weighs 907 grams. Unlike the previous kickstands lets you tilt back at fixed angles, the new Surface Pro 3 has been improved tremendously allowing flexible angles to suit different usage modes. It gets 5MP cameras on both front and back and it also gets stereo sound speakers with Dolby Sound. Connectivity wise, you get a Full sized USB 3.0 port, a microSD slot and a mini Display Port. If you prefer to scribble notes, there’s also a premium feeling aluminium pen as well. It runs on the latest Windows 8.1 Pro and still boast an incredible battery life that lasts up to 9 hours of web browsing. For better typing on the go, it gets anew Type Cover keyboard which has a larger trackpad and redesigned keys. Price starts at USD$799 (about RM2,574) for the base Core i3 model and goes all the way up to USD$1,949 (about RM6,279) for the top spec Core i7 unit. Their current Microsoft Surface Pro 2 hasn’t arrived in Malaysia yet and the latest Surface Pro 3 is said to be coming here by August. 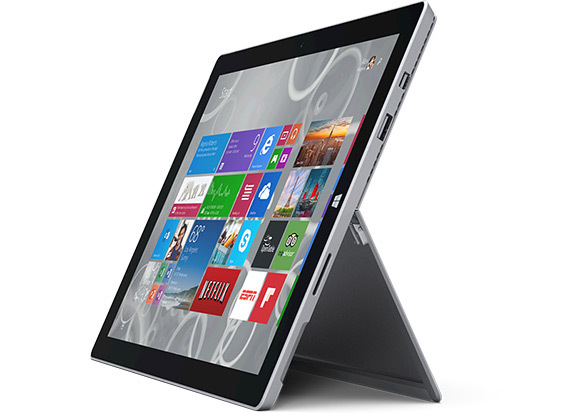 For more information, head over to Microsoft Surface Pro 3 product page.